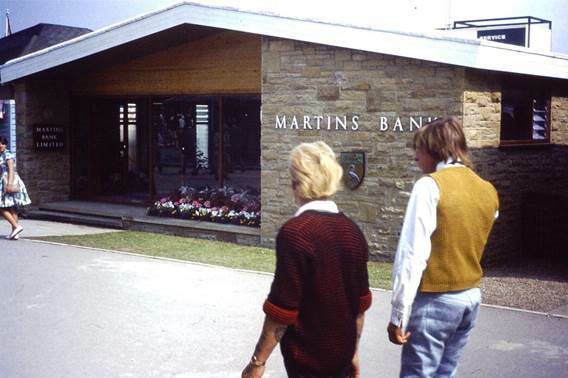 This is Martins Bank’s permanent branch at the Great Yorkshire Show Ground at Harrogate. It is constructed and opened in 1962, providing a counter service to the many visitors and exhibitors that flock to this important annual event. The Bank’s architects have taken their usual care to ensure surroundings that are both businesslike and welcoming to customers. Although staffed as a sub-Branch to Martins Bank at Harrogate, the Great Showkshire Show Branch is seen more as a permanent trade stand building and is therefore overseen by the Bank’s Show and Exhibition Branches Department from 68 Lombard Street London. This department also operates the Bank’s fleet of MOBILE BRANCHES and its numerous exhibition TRADE STANDS . 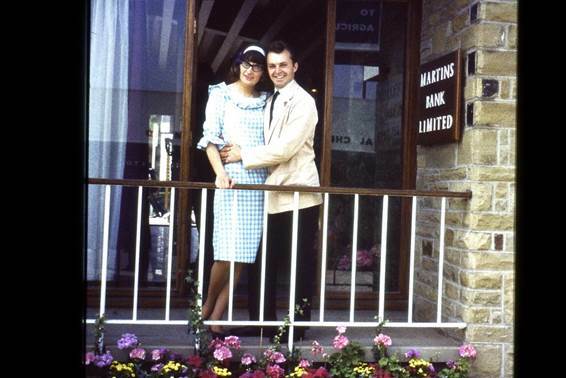 Our friends at the Great Yorkshire Show tell us that whilst Barclays is still one of the Show’s sponsors, the branch itself was closed in March 2001. The building was initially taken over by Persimmon Homes who refurbished it but it is now operated as the Farmers Meet by the Great Yorkshire Show company. 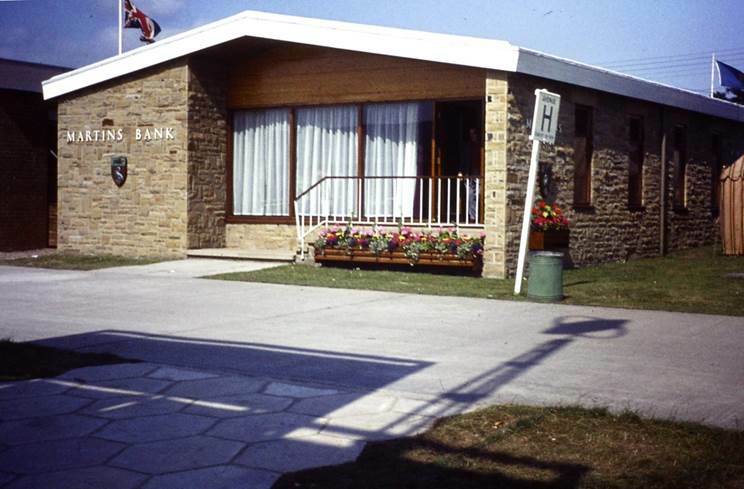 As this office was operated by Martins Bank as a show and exhibition Branch, it was not listed in the Bank’s directory of Branches, therefore we are struggling to find out what the exact opening times were – there may only have been service during the annual Show itself, or a scaled down services for the staff and businesses operating on the site during the rest of the year.